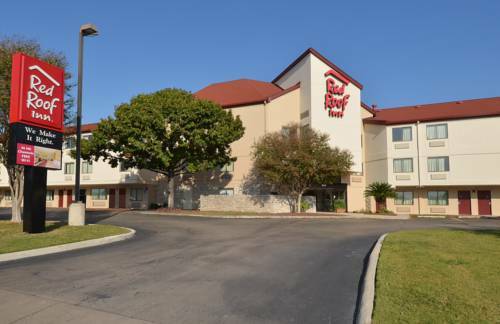 Red Roof Inn San Antonio Airport is pet friendly, family friendly and 100% smoke-free, just 1 mile from the San Antonio Airport and the North Star Mall, the largest mall in San Antonio! Our hotel is just minutes from the Quarry Golf Course (one of the nicest courses in the city), Baptist Hospital, Trinity University, and all the delights of downtown San AntonioRiverwalk. Other nearby attractions include Alamo, Alamo Dome, Tower of the Americas, and the Convention Center. Our guests also enjoy Six Flags/Fiesta and University of Texas at San Antonio, are no more than 20 minutes away from the hotel.